Holiday Package Deals | $1468/pax for 3D2N & Free 1N stay at 5* The Residence Maldives with Breakfast, Flight & Extra Perks! 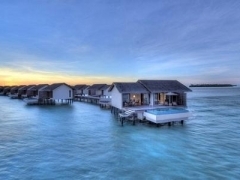 $1468/pax for 3D2N & Free 1N stay at 5* The Residence Maldives with Breakfast, Flight & Extra Perks! 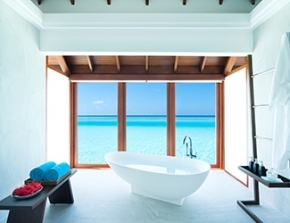 Frolick on sandy beaches and soak in the sun at 5-STAR THE RESIDENCE MALDIVES! • Facilities – 40 inch LED TV in the bedroom, DVD player, personal safe and tea & coffee facility. THE RESIDENCE MALDIVES is located in Falhumaafushi, an isolated island in the middle of the Indian Ocean. This luxurious 5-star residence provides the ultimate designer pad for travelers seeking a stylish vacation hotel. This particular location was thoughtfully chosen for its miraculous access to sea breeze, organic garden space, and a sense of being one with nature. When one travels to Maldives, one can expect nothing less than picture perfect weather — balmy mornings, sunny afternoons, awe-striking sunsets and breezy nights... so what are you waiting for? Get this deal and book your seats to this island paradise now! 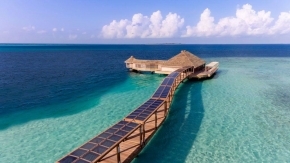 Located in Falhumaafushi, an isolated island in the middle of the Indian Ocean, this luxurious residence provides the ultimate designer pad for travelers seeking a stylish vacation hotel. This particular location was thoughtfully chosen for its miraculous access to sea breeze, organic garden space, and a sense of being one with nature. The hotel features 94 elegantly designed villas are equipped with contemporary interiors with high and innovative fixtures and comfy beds. A charming property, The Residence Maldives is definitely worth the visit.